The 3rd IEEE Conference on Smart Computing (SMARTCOMP 2017) to be held in Hong Kong, China on 29 - 31 May 2017 is pleased to providing competitive travel grants for US students to attend SMARTCOMP 2017 conference and all co-located events such as Workshops, Ph.D. Forum, Work-in-Progress, Poster and Demo sessions. 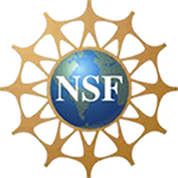 Travel grants provided by the US National Science Foundation (NSF) are available only to full time students attending colleges and universities in the US. Underrepresented minority and women students from diverse US institutions are particularly encouraged to apply. Although student authors of accepted papers will be given priority for travel awards, this is not a mandatory requirement. Exceptional undergraduate research students (e.g., NSF REU students) and young post-doctoral researchers may also be considered for support on a case-by-case basis. To be eligible, US based students (referred to as “you”) must apply no later than Friday, 21 April 2017 via EasyChair. Ph.D. students eligible and applying for NSF student travel grant are also expected to participate in the Ph.D. Forum. Instructions on how to submit two-page abstract for Ph.D. Forum are available here. You are currently a research student in good standing and working in areas related to smart computing. You will be attending SMARTCOMP 2017 conference and associated events. You will be attending SMARTCOMP 2017 conference and associated event. Write a personal statement describing your research interests and how you wish to benefit from attending SMARTCOMP 2017. Indicate your full-time student status (B.S./M.S./Ph.D. ), and location you will be traveling from. Upload the above documents, along with your two-page CV via EasyChair by selecting the track “SMARTCOMP2017: NSF Student Travel Grant Applications”. Make sure you also submitted an Abstract for Ph.D. Forum if you are a Ph.D. student. For any questions, please contact the NSF Travel Award Chair, Sajal Das at sdas@mst.edu.